This review of the Before the Storm by Christie Golden is of the spoiler-free variety. Check out the entire Blizzard catalog in our Extensive Extended Universe post. The return of Christie Golden to the Warcraft universe should shock exactly no one. The author of numerous best sellers within the worlds of Blizzard joined the company over a solar revolution ago. It was only a matter of time before she dipped her toes back in for the eleventh time. What a difference a year within the belly of the beast can make. Before the Storm continues her recent trend of filling time and lore between and within expansions. 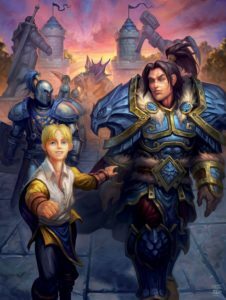 Arthas, War Crimes, Illidan and the rest provide a vehicle for Golden to drive large stories with the characters we adventurers fight for or against as the protagonist and antagonist. Golden has been fantastic at digging into their psyche, connecting it to the world and running with it. Before the Storm proves that her unfettered access to the artists, designers and lore experts have increased her prowess. There’s no doubt that unprecedented access has increased the scribe’s knowledge of her subjects bringing her muse to full force. 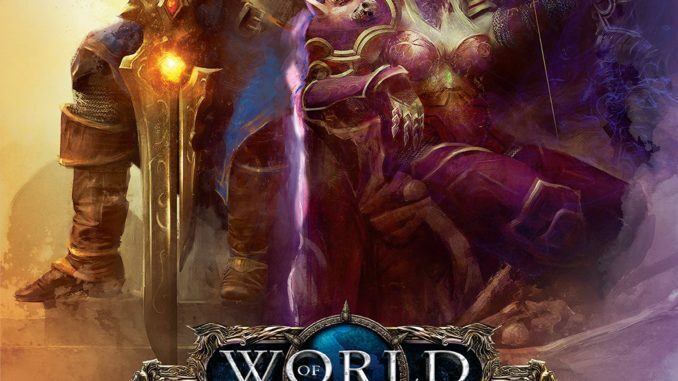 Chronicles exposed how ludicrously eventful the years of World of Warcraft have been. In a scant few years we’ve had the Scourge, the Cataclysm, repeated Old God events, repeated Burning Legion plots and multiple new continents rediscovered. The point is that expressing the happenings of expansions can be tricky. Golden skirts the concerns by focusing on what she does best, character arcs. Readers are graced with an undeniable, oft overlooked factor as the novel’s drama, that some Scourge, minds intact, have living relatives. This conflict forces the new human king, Anduin Wrynn, to face his father’s supposed traitor, Sylvanas Windrunner, after the Legion has been defeated. Again. Golden paints these characters exactly how you’d expect. Sylvanas, the cunning leader focused on keeping her people, the Forsaken, growing, and leading the larger Horde. Anduin, doubting himself, remembering those advisors he’s lost to death or vengeance, or those he has remaining with similar baggage. Readers are let into their worlds, their court dramas, their minds, as we all prepare for Battle for Azeroth. The main and secondary characters enter into this drama for very personal reasons. Few of them see their visions realized as anticipated. Before the Storm completes its arc only to leave the mess for Battle for Azeroth to figure out. Corporate synergy aside, Golden’s eleventh entry into the Blizzard universe explores the oft-overlooked conflict within the Scourge and Alliance by way of two thoughtful leaders. Before the Storm is court drama at its most fantastical. Legion will be heading to World of Warcraft: Chronicles soon. Each and every Volume is worth it. We’re coming out of the Legion story, so you may want to check out the return of Illidan, a tie-in to the exiting Legion. Our review of Illidan’s return is live. Your site is amazing, and content materials are very good!